Is it really only a few months since we first heard of No Concept? With Radio 1 airplay, A-list deejay support, download chart success, and prestige bookings at Let it Roll, Fabriclive and beyond, it's fair to say they've done pretty well for a new act! OK, to be fair, Russla and Dubba Jonny were already established deejays and producers by the time they adopted the No Concept moniker and signed to Technique Recordings but that doesn't make their rate of evolution any less startling. And the story's only just begun. Perhaps the first thing you'll notice about â€œWeirdoâ€ is that it features the idiosyncratic lyrical stylings of Bizarre. Yes, that Bizarre. The one with the shower cap out of D12, making, as far as we know, his first foray into DnB. As he tells us â€œain't no-one crazier than meâ€ over the tension-ramping intro, there's no way to predict what's coming. What's coming is an absolutely ridiculous drop that's going to see this tune become automatic wheel-up material. The aggressive punch of the drums is counterbalanced by the swing-time syncopation. The morphing, fluctuating bassline bounces around the frequency spectrum. This is addictive dancefloor music combining all the majesty of a big room epic with low-down gritty rave-hyping energy. 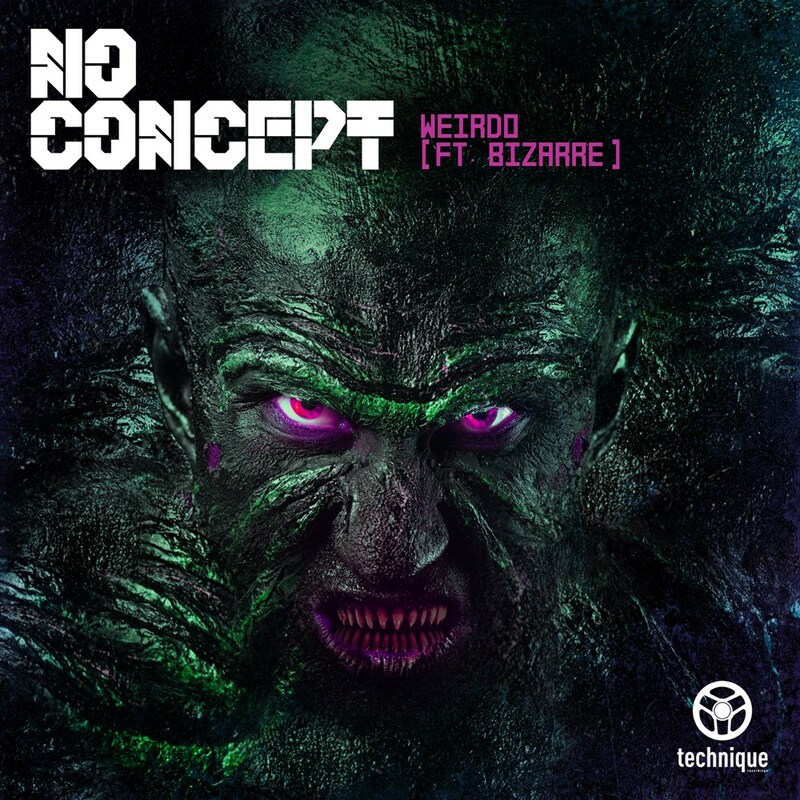 So, it's yet another banger from the No Concept boys! And, maybe more importantly, it's revealed yet another facet to their style. These producers are raising the bar for themselves every time, and, on current form, you can bet they'll be ratcheting up to even higher levels in the near future. Watch the ride.